ilbur and Orville always seemed to be building something. They were brought up to it by their mother, Susan Koerner Wright. Her father, John Koerner, was a skilled carriage maker and taught his daughter to work with tools. She made many of her own home appliances, as well as toys for her children. More important, she passed these skills on to her children. The Wright brothers built their first flying machine, a rubber band-powered helicopter, when Orv was 8 years old and Will was 12. 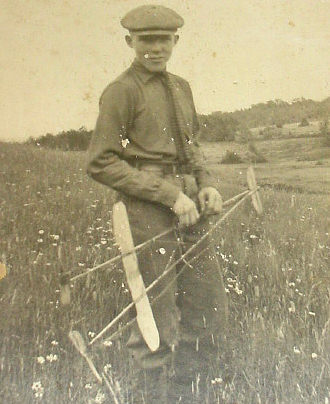 Later, Orville made kites and sold them to his friends. Wilbur invented a machine that folded the United Brethren newspaper his father published. Together they made furniture, printing presses, bicycles, gliders, and airplanes. They also added a porch and a hand-carved staircase to their home. Their lives seemed to revolve around their workshop. It's no wonder that the Wright story seems to attract people who like to work with their hands. Because of that, we created a "hands on" section where folks can experience aviation history from the point of view of those who built it. In this virtual workshop, we offer plans and information for airplanes and models you might like to build. We'll also lead you through some aeronautical experiments and demonstrate a few of the skills needed to build pioneer aircraft. The workshop in which Will and Orv built their first airplanes now rests at the Henry Ford Museum nearf Detroit, Michigan. The Inner Tube Box Experiment – Wilbur Wright was fiddling with an inner tube box in 1899 when an idea suddenly occurred to him for an effective way to control an aircraft in flight. 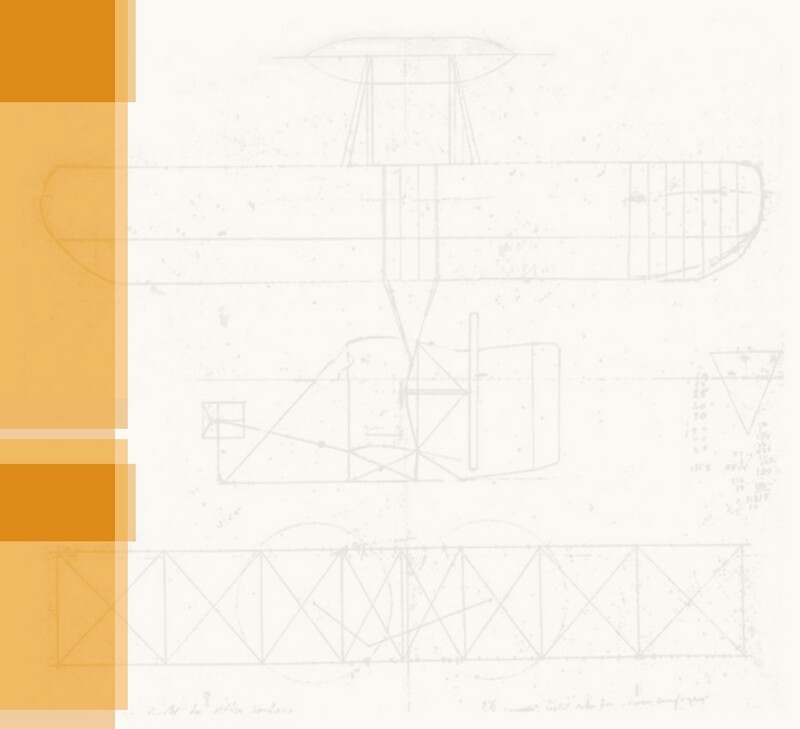 Using a single sheet of card stock, you can repeat the simple experiment the opened the Age of Aviation. Not Quite Wright Kite – The Wright brothers tested their ideas for an aerodynamic control system by flying a special kite that allowed them to twist its wings and move its elevator form the ground. This kite does that too, but it's not quite a replica. It's much simpler to build and easier to fly. Possible learning may occur! Crafty educators have been known to use this project to teach National Scholastic Benchmarks. Wind Tunnel and Balance – To insure that their airplanes produced maximum lift with minimum drag, the Wright brothers test about 200 different wing shapes in a wind tunnel and measured the forces on the wing shapes with several balances. You can make this wind tunnel from household fans and cardboard and the balances from balsa wood and wire nails. Then design your own wing shapes from aluminum flashing and see if you can find a better wing shape that the Wrights did. 1902 Wright Glider Model – The 1902 Wright Glider was the first aircraft to have 3-axis aerodynamic controls – movable surfaces to catch the wind and pitch the nose up and down, yaw it right and left, or roll the aircraft from side to side so one wing rose and the other dipped. This flying model has adjustable aerodynamic surfaces that allow you to investigate the controls for each axis – pitch, yaw, and roll. Vintage Rubber Band-Powered Flyer Model – Immediately after Wilbur and Orville began demonstrating their airplane in Europe and America, flying rubber band-powered aircraft became a popular sport. New designs were published every day, and competition were held somewhere every weekend. This is a vintage plan for a model aircraft that looks (vaguely) like the Wright Flyer. It appeared in an (extremely) early edition of Flight magazine.